Even lifelong cable customers should take a look at DISH. Offerings include packages with a good mix of channels at multiple price points and add ons gives these packages additional value. For customers interested in high-tech equipment, DISH delivers, with a Hopper 3 DVR that blows competitors out of the water. You’ll be giving up NFL Sunday Ticket and the flexibility that comes with a contract-free option, but it may just be worth it to switch to DISH. DISH offers new customers 4 packages to choose from. America’s Top 120 is DISH’s “basic cable” package, with just under 200 channels included. It has all your popular cable channels (think Food Network, HGTV and MTV), but doesn’t include sports. If you want regional sports and college networks, upgrade to America’s Top 120+. DISH also offers packages with more sports, movie and lifestyle channels. For favorites like Hallmark, OWN and Bravo, go with America’s Top 200. If you want movie channels and other exclusive networks included in your base package, America’s Top 250 is the way to go. What’s Included in a New DISH TV Package? DISH’s TV package lineups are on par with other TV providers, so what makes them different from your other TV options? The upgrades and add ons included in your package price. DISH’s packages might look a little pricier than your local cable provider, but what’s included with DISH could save you money in the long run. If you’re hesitant to choose DISH because of its 24 month commitment, keep in mind that the contract you agree to also means a guaranteed price for 2 years. Unlike cable providers, who are contract-free but can change rates at any time, you know exactly what you’re paying for the next 2 years. DIRECTV also offers a 2 year price lock, but it’s not the same price for 2 years. After 12 months, your DISH bill will remain the same, while a DIRECTV bill would increase to a higher fixed monthly price. Prices are guaranteed to not go up for two years. If you have an HD TV, DISH includes HD versions of your channels for no extra charge. Satellite TV is also able to broadcast channels in 4K, so DISH is beginning to offer some special events and On Demand movies in ultra high definition. If you’re using your Hopper 3 or 4K Joey to watch Netflix, you can also take advantage of Netflix’s 4K movies and series. DISH TV packages include 70+ SiriusXM radio channels you can listen to through your TV. DISH also has a new music app that lets you stream Pandora, iHeartRadio and your personal library from your phone to your TV. This is awesome if you have surround sound hooked up to your TV but all your music is on your phone. Local channels are included within the price of the packages above, so don’t panic when they’re a separate line item on your bill. Regional sports networks are including with the America’s Top 120+ and above, which does add quite a few channels to your package. A lot of cable providers charge an regional sports network (RSN) fee, and that can change depending on where you live, so DISH can save sports fans a decent amount over 2 years. Regional college sports networks are included in packages AT 120+ & higher. What’s Not Included in a New DISH TV Package? Despite DISH including a bunch of add ons, there are some things that will increase your monthly bill beyond the advertised package price. Of course, there are taxes and fees based on where you live. If you choose to upgrade to the Hopper 3 DVR, it’s another $5-15 per month depending on which model you choose. If your credit is a little lower, you may also have to pay some installation and activation fees up front. Because DISH does require a contract (unless you want to pay pretty big upfront charges), there is a cancellation fee if you don’t stay with DISH for 24 months. There are also a few popular channels that DISH doesn’t carry: NFL Sunday Ticket, Chiller and Fido TV. DISH doesn’t currently broadcast any 24/7 4K channels either. If a base package isn’t enough, you can add on premium movie channels, specialized sports networks and international packages. These add ons start at $4 a month, so they can be a budget-friendly way to add a little bit of variety to a basic TV package. Options include HBO, Multi-Sport Pack, DISH Movie Pack and international channels in 28 different languages. The Hopper 3 is DISH’s pride and joy, and rightfully so. It has received praise from WIRED, PC Mag and a bunch of other people who know what they’re talking about. There are some features you’re never going to use; who needs to record 16 channels at the same time? But let’s focus on the features you will use: parental controls, watching 4 screens at a time, built in Netflix and YouTube, a remote finder and Amazon Alexa skill for voice control. DISH’s newest DVR is the Hopper Duo is a smart HD DVR, a 2 tuner DVR that includes the Hopper 3 interface without so many bells and whistles. You can add a second TV using any of the Joey models, watch TV on-the-go with DISH Anywhere and use voice controls, plus DISH says Netflix integration is coming soon. The best part about this toned-down Hopper is that DISH’s price includes it, so it won’t cost you anything over the package prices you see in current advertising. Your Hopper can connect to either 3 or 6 more TVs, depending on which generation Hopper you get. Each of the additional TVs gets a Joey to connect it to the main Hopper. There are 3 different types of Joeys: the regular Joey, Wireless Joey and 4K Joey. Adding Joeys lets you watch recordings from the main TV, as well as pick up where you left off in a movie or show on a different TV. If you don’t want a DVR, DISH will offer the Wally instead. It’s a basic receiver, but it has the same interface as the Hopper 3. This means Netflix, YouTube and other apps, an easy-to-use guide, parental controls and OnDemand accessibility. For those of you trying to keep you monthly bill down (and don’t care about recording shows), the Wally is the way to go. Regardless of whether you choose a no-frills option or a DVR, there is no receiver fee for your first TV with DISH. This can save you $7+ per month over some cable companies, including COX, Mediacom and Suddenlink. Additional TVs will cost you either $5 (for a Joey) or $7 (for a Wally) each, depending on which equipment you use to connect them. If you have a Hopper with Sling, a Hopper 3 or a Wally, you can download the DISH Anywhere app and watch TV on your phone via WiFi or your data connection. DISH Anywhere works on smartphones, tablets and computers. All your live TV channels and DVR recordings can be watched at any time from anywhere, which is convenient for commuting and traveling. DISH also recently updated DISH Anywhere to include a Fire TV app, so you can watch your entire TV package on any TV. No news on an Apple TV or Roku app though. You can get around this by using your DISH information to log on to individual channel apps on Roku or Chromecast. Each of the packages mentioned above include free premium movie channels for 3 months. HBO, Cinemax, SHOWTIME and STARZ are included in this deal, which means more than 35 channels of movies and series like Game of Thrones, Westworld and Shameless. Just remember that at the end of 3 months you’ll need to cancel the channels (you can do this online or over the phone) or you will get charged for them. Qualifying customers can get free professional installation. Cable companies will sometimes offer free installation as well, but sometimes they don’t mention that means you have to do it yourself. Make sure you understand just what free installation entails! DISH sends a professional installer to your home and they’ll set up your dish, receiver and remote. Depending on where you live and when you order, next day installation might be available. No TV customer service department is all that great, but DISH is rated #1 in a bunch of different customer service categories,* including highest website satisfaction, highest call center satisfaction and lowest customer complain rate. They also have the clearest bill to understand among major TV providers. There are a few different ways to reach DISH’s customer service if you ever have an issue. There’s a customer service phone number, online chat, social media support and forum with active DISH reps answering questions. One convenient feature is the ability to upgrade or downgrade your TV plan at any time using your online account. This is also where you’ll add extra channels if you want to after signing up with DISH. *Based on the average American Customer Satisfaction Index comparison of major TV providers (2010-2015). Like most TV plans, DISH isn’t a small addition to your monthly expenses. There are a couple of ways to keep your bills manageable though! 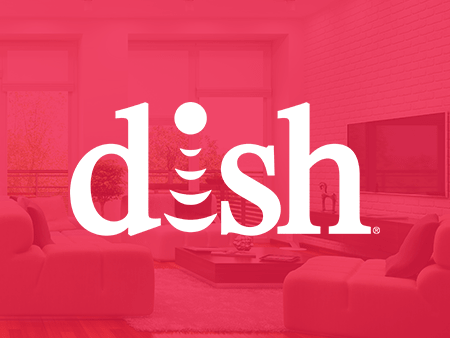 Local channels are included in the advertised price for DISH’s packages, but because they’re a separate item on your bill, you can drop them and save $10 per month. This is an easy choice if you already have an antenna connected to your TV. Bypass a DVR and go with the Wally. Your first receiver is included for free, and you won’t be paying an extra $5 to $15 per month in DVR fees. For some families, this just isn’t an option, but other won’t mind not saving shows for later. DISH encourages all its customers to sign up for eAutoPay, which will save you $5 every month. All you do is connect a bank account to your DISH account and the money will automatically be withdrawn from the bank account on your bill’s due date. DISH has a few advantages, including a 2 year price guarantee, 4K channels, the Hopper 3 DVR and nationwide availability. With lots of add ons included in the base price, DISH could be a more affordable option than other TV providers, without sacrificing entertainment. If you live in an urban area, satellite TV, including both DISH and DIRECTV, is probably not your best option. However, for suburban and rural families, DISH is a great choice. With the 24 month price lock, you’ll save money over DIRECTV on most packages, even if DIRECTV is less in the first year. This also helps DISH beat out no contract cable providers as well, which offer more flexible service, but little to no price guarantee. If you love high tech accessories and are willing to pay a little extra, DISH is a great option. The Hopper 3 HD DVR is one of the best on the market, with only the X1 coming close (but you have to bundle TV and internet to get the X1, which isn’t ideal for a lot of customers). DISH Anywhere and Fire TV compatibility are also nice features if you’re often traveling and want to watch TV. Overall, DISH is a great option for people who want a little more than basic cable and enjoy added features in their base monthly package. We recommend America’s Top 200 for a good balance of price and a variety of local, sports, kids’, movie and lifestyle channels. Stay updated on the latest products and services anytime, anywhere.